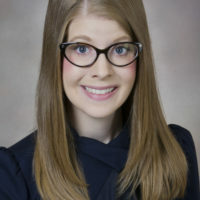 Dr. Caretta-Weyer received her medical education from the University of Wisconsin School of Medicine and Public Health, from which she graduated Alpha Omega Alpha (AOA). From there, she remained a Badger and completed her residency and chief residency at the University of Wisconsin. While in residency, she began to hone her skills in curriculum development and leaner assessment via the development of a health disparities curriculum for the intern orientation program. She has transitioned to Oregon Health and Science University in Portland, OR where she is now a Medical Education Scholarship Fellow and Instructor in the Department of Emergency Medicine. Since joining OHSU, she has joined OHSU's Core Entrustable Professional Activities for Entering Residency pilot team. Her academic interests focus on competency-based medical education, largely within its ability to bridge vulnerable transitions within the continuum of medical education, the assessment of competencies, milestones, and entrustable professional activities (EPAs), coaching within medical education, leadership development for chief residents, and time management for academic productivity and work-based wellness.